Storytelling thoughts from a recent trip to New York, where I caught a couple of master classes about character, point of view and theme on Broadway — both with some great songs, too. 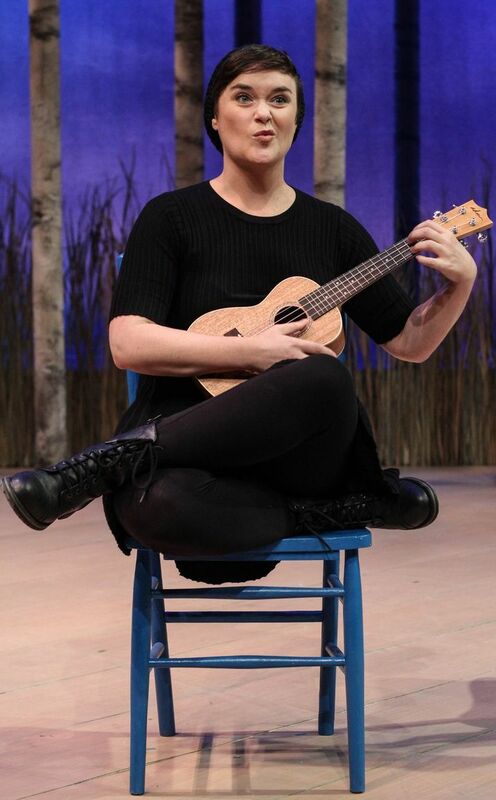 “Book of Mormon” and “Fun Home” aren’t just Tony-winning musicals. They’re both fascinating examples of art that’s about art – in this case, writing about writing. In “Mormon,” a young missionary has to wing it when Africans ask to hear the story of his religion’s, uhm, genesis. It’s funny and profane and super-tuneful – and his impromptu take on the meaning of life unexpectedly proves as inspiring as any version any believer could hope for. 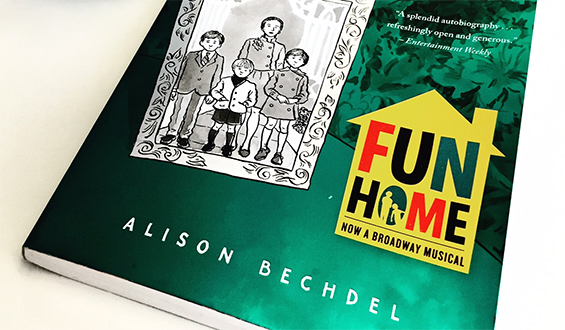 With “Fun Home,” a woman looks back on her troubled father and, through her cartooning and writing, tries to make sense of her family chaos. Walking around the Theater District, I couldn’t miss ads for “Wicked,” another musical about storytelling — about looking at one of the most famous characters of all time from a different point of view. Oh, she’s wicked, all right. And that’s enough for me. 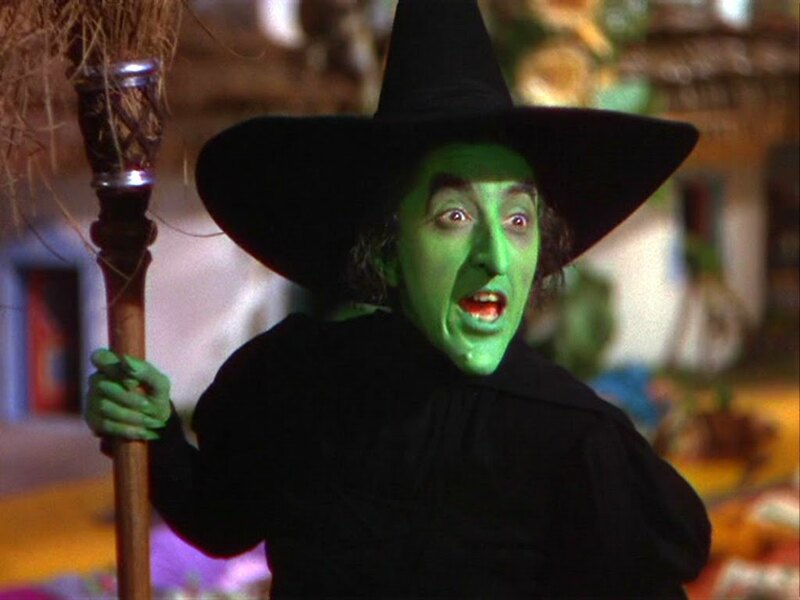 I’ve never wanted to see it because, to me, the Wicked Witch of the West neither has nor needs a back story. She is evil, pure and simple. She wants to kill Dorothy to get the ruby slippers so she can rule Oz. That’s it. Still, back in Atlanta, I saw the Alliance Theater’s production of “One Flew Over the Cuckoo’s Nest” and wondered what that tale would look like from Nurse Ratched’s point of view. All this reached its apex when I saw “Stupid F—ing Bird” at Actor’s Express in Atlanta’s West Midtown. Theater folk can tell you it’s an update of Chekhov’s “The Seagull.” I can tell you it poses interesting questions about art and how much is too much – even whether we’d all be better off under a 100-year moratorium on the stuff. “Bird” takes the self-gazing one step further, into meta-fiction. Characters address the audience and talk about the play they’re in. It’s amusing, maybe insightful, definitely an attempt to goose theatrical devices. Turns out I didn’t have to fly to New York to find that. And this is all good fodder for anyone writing anything. What’s a story? What material is presented? From whose point of view? As communicators, what do we want the audience to feel, think or do? This entry was posted in Atlanta, Entertainment and tagged Actor's Express, atlanta, Book of Mormon, Fun Home, musicals, New York, storytelling, theater, Wicked on September 29, 2015 by Jay Croft. ← On the jargon runway, is this why people love it? You must see Wicked. It is pure delight. Not only is it a story of a misunderstood witch, but a tale of best friends. The best part though, is the backstory of Oz itself. And of course, fabulous music. Maybe I will someday… I know so many people who love it.